FOR DECADES, AMERICANS have accepted rule by a mendacious and meretricious elite. Today we have reason to believe that our situation is worse than ever. Our president is a hate-mongering bully who promotes foreign wars, the destruction of our natural environment, the further enrichment of the rich, and the impoverishment of everyone else. Republican and Democratic leaders in Congress are cynical money-grubbers who grovel before corporate power. The Supreme Court twists the Constitution to promote the most anti-democratic forces in our society. Founders of our republic would howl in anguished rage if they could see how fully our political leaders have defiled their liberating vision. Over the brief history of the United States, Americans have shown ourselves ready to seize anything we covet, anywhere in the world. 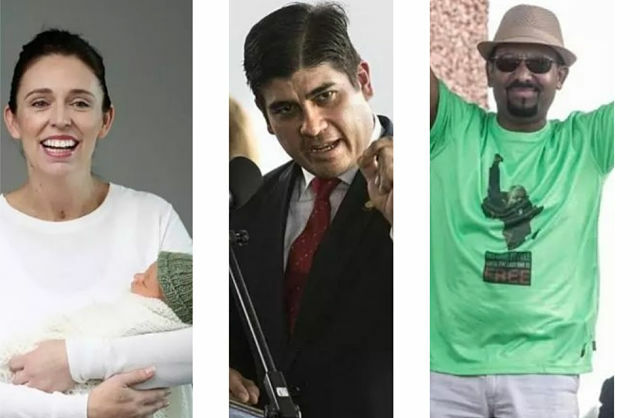 If we could maintain that tradition, we might now arrange an “extraordinary rendition” operation to kidnap Jacinda Ardern, Carlos Alvarado, or Abiy Ahmed so one of them could be installed in the White House. Lamentably, that is impossible. The alternative is to concentrate on encouraging homegrown leaders who share their humanistic vision. Americans once believed that we could inspire and lead the world. Now we can only hope to catch up with New Zealand, Costa Rica, and Ethiopia.